No beauty routine is complete without an intoxicating scent... it is like the beauty mark after the beauty mark. 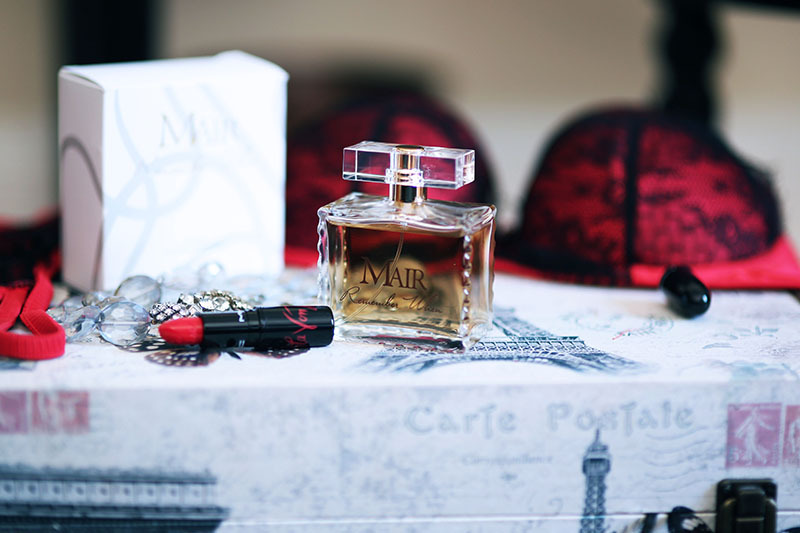 I love the notion that my fragrant aroma becomes an aspect of glamour that lingers, like an invisible aura. A pinup is sure to always leave that mark; to be remembered. "Remember When" by Mair Fragrance captures the essence of memory through an expression of luxury and timeless beauty. This was the inspiration, stemming from the fact that we naturally tie scent to memory without having to try. Even the design reflects this notion. Symmetric grooves on the glass bottle were perfectly measured and laser cut in Italy to symbolize a perfect memory. With notes of Italian Bergamot, Jasmine and Amber, this Citrus Floral fragrance sparks a feeling of sensuality and classic femininity. With warm hints of amber and guaiac wood, there's a refreshing feeling of maturity combined with playfulness. Owner and Creator Mair Emenogu took an active ban on using synthetically created notes in her fragrances. Remember When is a non-synthetic eau de perfume with no harsh chemicals. Rather, it is made from the finest raw materials in France and Italy. It is created in Grasse, France where all the major fragrance houses are located, yet manufactured in the USA. Mair's story begins with her initials, coincidentally being ME. She was about 20 years of age when she realized these initials were often questioned and even offended someone! She felt she needed to establish a more elaborate signature, so began practicing. A VP in her office caught a glimpse of the new signature and stated, "Mair, I can see this on a perfume bottle." Those words stayed with Mair for years, and she eventually came to the realization that fragrances express emotion in the absence of words. This passion prompted her to begin a fragrance line of her own. I'm so excited to tell a story of my own today through the emotion of "Remember When." Not only does this notion speak to every human, but even further to an old soul like the vintage lover. We feel an extra level of nostalgia for the days before our time... This will be a regular rotating fragrance in my boudoir for years to come!